This post is sponsored by Pet Health Network® and the BlogPaws® Pet Influencer Network™. I am being compensated to help create awareness for the importance of the IDEXX SDMA™ kidney screening test for pets, but Pawsitively Pets only shares information we feel is relevant to our readers. Neither Pet Health Network® or IDEXX is responsible for the content of this article. As pet parents, we want to make sure our pets are happy and healthy. The two go hand in hand, or in this case - paw in paw. One simple step we can take to ensure our pets are healthy is by monitoring their health for disease. By catching disease early on, it is easier to manage and treat. 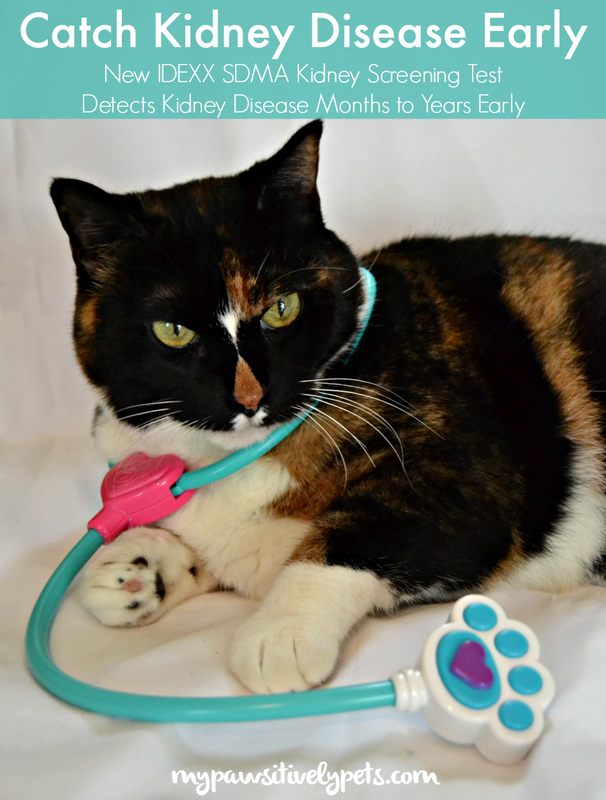 One disease that is troubling for cats in particular is kidney disease. 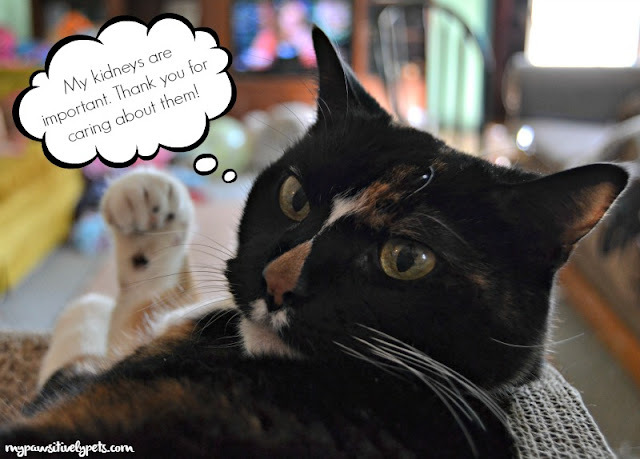 Kidney disease is a leading cause of suffering and death for cats. Kidney disease in cats is what heart disease is for humans. The problem with this is that there are no visible signs of kidney disease in cats early on, so it's more difficult to know when a cat is sick. Cats are very good at hiding disease as part of their natural defense against predators. As a result, most cats will not show signs of kidney disease until they have already lost most of their kidney function. 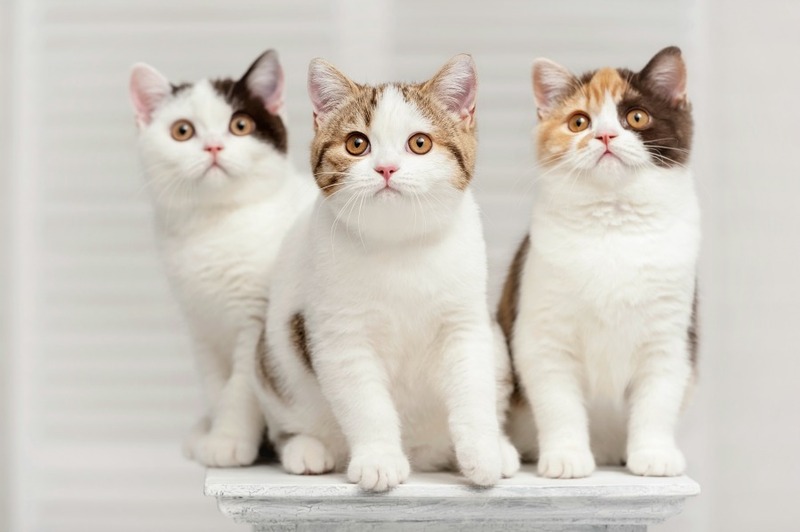 Did you know that over 1 in 3 cats will develop kidney disease in their lifetime? As a cat grows older, their likelihood of developing kidney disease increases. More than half of cats over the age of 15 are afflicted. Fortunately, there is a new test available that can help detect kidney disease early. IDEXX SDMA™ Kidney Screening Test is a breakthrough new test that screens for kidney disease and can detect it months to years early. This is great news for cats because the test detects kidney disease when much of the cat's kidney function is still intact. The test is also available for dogs. By detecting kidney disease in cats early on with the help of IDEXX SDMA Kidney Screening Test, cat parents and veterinarians can work together to help their cats live longer, happier, healthier lives even with the disease. Your veterinarian can formulate a plan for your cat to help preserve their kidneys before their kidney disease becomes severe. The IDEXX SDMA Kidney Screening Test is available to all veterinarians in the US and Canada via IDEXX Reference Laboratories. It's always a good idea to have blood work run during your cat's annual veterinary visit. Adding the IDEXX SDMA test onto their regular blood work panels is easy and 2 out of 5 veterinarians in the US have already begun to include it with their routine testing, almost always at little to no additional cost. All you have to do is ask your vet. Remember that there are no visible signs of kidney disease early on, making it difficult to know if something is wrong with your cat's kidneys until the damage has been done. And because cats like to hide the fact that they are ill, blood tests are of high importance. These symptoms can also be caused by a number of other health problems, which is why routine blood work is important to your cat's health. If your cat's kidneys look normal with the test, it's one less thing you'll need to worry about. Asking your veterinarian about the IDEXX SDMA Kidney Screening Test could help your cat live longer. And who doesn't want to spend more time with their cat? Next time you're at your veterinarian's office, ask them about the test. Your cat and their kidneys will thank you. More information from Pet Health Network about this test and kidney disease in cats. And to stay in the know about your pet's health, please follow Pet Health Network on Facebook. Have you already asked your vet about the IDEXX SDMA Kidney Screening Test? My human was so glad when she found out about this test! She is definitely asking her vet about it next time either Binga or Boodie goes in for a checkup - they are both seniors and although their bloodwork looks good, she wants to know for sure. Good to know this test is available. We had it done for our dog the other week. Will also ask about it for our cats. I am glad this test now exists hopefully it will save many cats by catching kidney disease early. Mom had a cat she lost to kidney disease years ago. Good to know about this test. Dr. D. isn't totally down with this new test. She said it still detects kidney disease at too late a stage and also once you know there's not much they could do. I need to ask my vet about it when I bring Callie in as well. I'm interested in her opinion. Well sorry to hear that Wally, but I'm glad the mom can help you out some. My vet's office has recently started using this test as part of our "regular" bloodwork. My dog Shiloh has some history of kidney disease (sort of) in his relatives, so I was excited to add on this test recently to be extra sure. I was heartbroken to have the results come back indicating early kidney disease. My vet was no so quick to jump to panic. She had run the test a few months back on her dog and got even worse numbers than Shiloh. A few months later, she had to bring her dog in late at night for another problem and ran bloodwork again, with this test included. The results came back completely normal this time. The only difference she could think of was that the first test was run in the morning, with the dog not having anything to drink overnight (you don't need to withhold water for this test, but if you're testing in the morning after being asleep for hours and not drinking...) She thinks the numbers could have been the result of "normal" dehydration rather than kidney problems. She thinks the same thing happened with Shiloh- I know for a fact he had his last drink around 9pm and I couldn't get him to drink in the morning before heading to the vet. She ran a urine, which came back normal. So we decided to wait and run the bloodwork again in 4 months, this time at the end of the day and making sure he drinks something. Trying not to panic until then. But that is something to consider with this test- hydration could affect results. Interesting and thank you for sharing your experience with the test, Kate! I hope that your 2nd test shows better results. I love all the new and innovative means to get in front of a health problem concerning your pet. Modern technology meets health science in the right places! I'm sorry to hear that :( She still seems to be doing pretty well. I hope her supplements are helping. Thanks for the very important info!